Adrie De Vries is a rare visitor to British shores but the the 12-time champion in his native Netherlands has enjoyed success all over the world in thoroughbred and Arabian racing. He steered Energizer to victory in the Group 3 Tercentenary Stakes at Royal Ascot in 2012 and has also won significant prizes in France, Italy, Bahrain, Qatar and the UAE. He has also ridden the winner of the Dutch Derby five times. 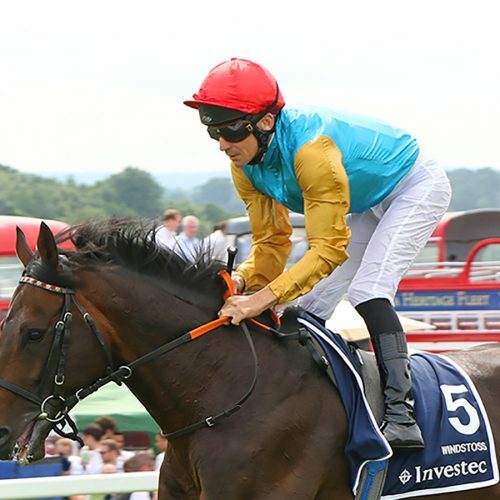 In 2018 he partnered Windstoss, trained by Markus Klug, to finish a staying-on third in the Investec Coronation Cup at Epsom. Born in Heerlen, Netherlands, on July 27, 1969, he started riding ponies from the age of eight at his parents’ farm and his father owned racehorses. He rode his first winner on Go Go at Duindigt racecourse, near Rotterdam, in 1985, and enjoyed a successful partnership with top Dutch trainer Jan Pubben during his time in his home country, partnering more than 600 winners and dominating the jockeys’ championship, being champion 12 times. Successful in five Dutch Derbys between 1991 and 1999, he moved to Germany after the turn of the century and rode his first Group One winner aboard the Hans-Albert Blume-trained Gyreka in the 2005 Italian Oaks. He has enjoyed more Group 1 success, including on Godolphin’s Campanologist in the 2010 Rheinland-Pokal and linked up again with that horse’s trainer Saeed bin Suroor for a fruitful spell at the 2017 Dubai World Cup Carnival, particularly on Prize Money. He was retained by Germany’s leading owner Gestut Schlenderhan between 2009 and 2014 and was champion jockey in the latter year. He divides his time between Bahrain, Qatar and the UAE during the winter months where he has also done well in Arabian racing. De Vries has ridden worldwide, including in Japan and Hong Kong, and partnered around 2,000 winners.